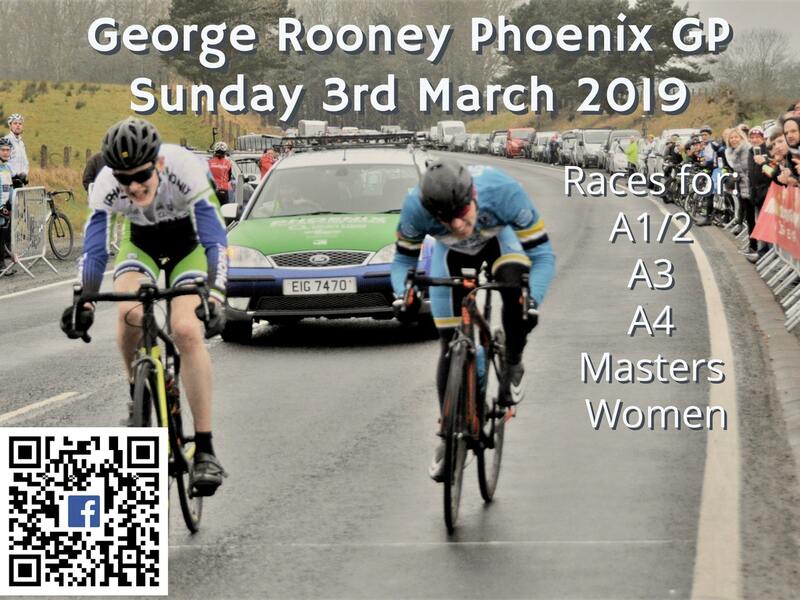 The George Rooney Phoenix GP hosted by Phoenix CC takes place on Sunday 3/3/2019. All races start/finish approx 3 miles from Nutts Corner Roundabout on the A52 Belfast Road. This year sign-on will be in the Crumlin Leisure Centre (BT29 4UP) from 9:15. Sign on will close 30 min before each race with free spaces being allocated to the reserve list. There will be full changing and showering facilities available as well as refreshments before and after. The sign-on fee is £15 for everyone except juniors who pay £5. Juniors please note that on entry central, you will have to pay £15 for pre-entry, please make yourself known at sign-on on the day and we will reimburse you the £10 difference. Entry on the day of the race will be £20/€25. – All riders must have the appropriate CI license card or print out from the CI website. – The course will be the usual Nutt’s Corner > Seven Mile Straight > Long Rig Rd course finishing at the top lay-by.